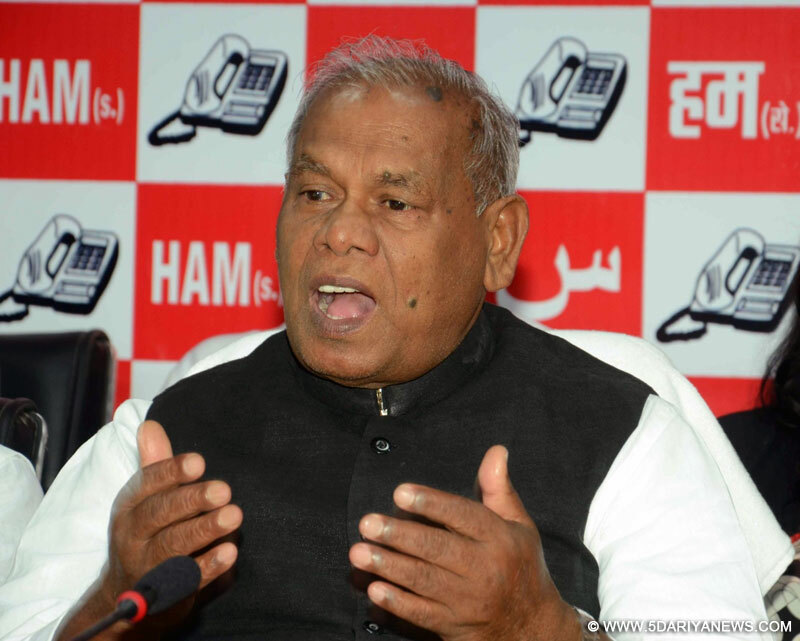 Former Bihar Chief Minister and an ally of the Bharatiya Janata Party (BJP) Jitan Ram Manjhi on Wednesday demanded that the next President should be a Dalit.Manjhi's demand has created a dilemma for both BJP and non-BJP parties, including the Congress, over the issue. "India's next President should be a Dalit, as it will send a positive message to the deprived and most marginalised sections as well as provide a feeling of honour," Manjhi, President of the Hindustaan Awami Morcha, said in a press release.Manjhi said if a Dalit was elected the next President of the country, it would symbolise a vibrant democracy. "All political parties should come forward for a consensus over a Dalit as the next President. "Manjhi's major ally in Bihar, the BJP, has made it clear that the national leaders of the party will consider his demand.Leaders of Bihar's ruling combine comprising the Janata Dal-United, Rashtriya Janata Dal and the Congress are yet to react to Manjhi's proposal.President Pranab Mukherjee's tenure will end in July 2017.ill now, only one Dalit K.R. Narayanan has been elected the President of India in 1997 and his tenure ended in 2002. Narayanan was elected Vice President in 1992 as a Congress candidate.